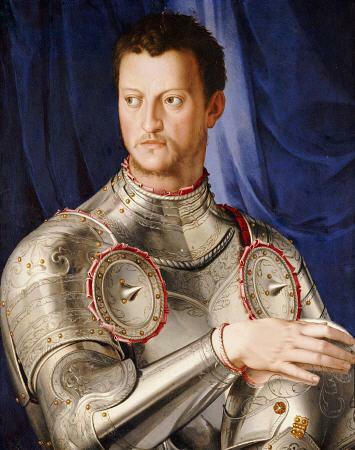 Giovanni di Cosimo de Medici (1421-1463) was the son o Cosimo de’ Medici. 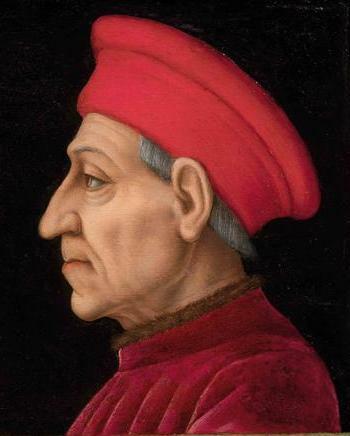 Although less well-known to posterity than his older brothe Piero the gouty, he may actually have been Cosimo’s preferred successor in finance and politics. 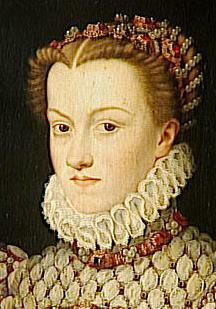 He was enrolled at a young age in the Florentine guilds the Arte del Cambio and the Arte della Lana. In 1438 he served an apprenticeship in the Ferrara branch of the Medici bank and in 1455 became the manager of the entire bank. 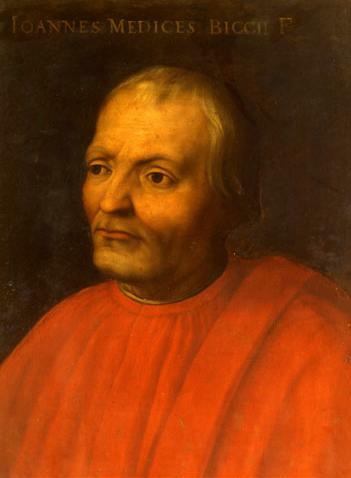 In the political sphere, in addition to holding important guild memberships, he was elected to the Florentine priorate in 1454, and he was one of the Florentine ambassadors sent to Rome in 1455 to congratulate Calixtus III on his elevation to the papacy. Throughout the 1450s Giovanni often spoke in Florentine political councils on behalf of the Medici. 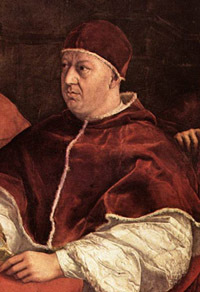 He received a humanist education and in 1447 served as an official at the Studio Fiorentino, the University of Florence. Like Piero, Giovanni was a collector of ancient and contemporary art as well as a patron of art and architecture. His penchant for ancient art may have been a logical result of his humanist education; it must also have been nurtured by his father, himself a collector of antiquities. Giovanni became an avid collector of ancient coins, statues and manuscripts; he also commissioned copies of Classical texts. Giovanni’s interest in Classical culture was recognized in a letter of 1443 in which the writer, Alberto Averadi, informed him of the ruined state and contemporary destruction of ancient monuments in Rome and of the unsatisfactory nature of their modern replacements. As a patron of art and architecture, Giovanni may have sought a reconciliation between the Roman past and the Florentine present. 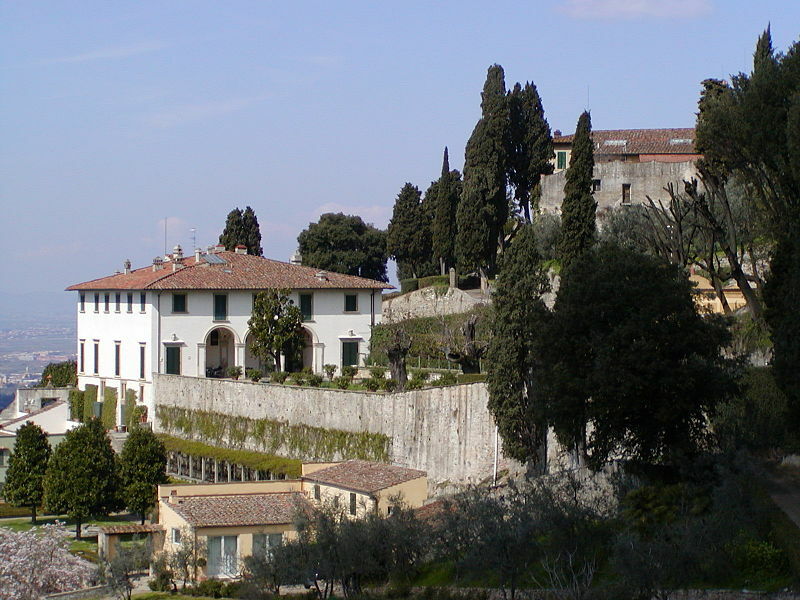 In the 1450s he had Michelozzo di Bartolomeo construct the Medici villa at Fiesole (photo above) and remodel the nearby church and cloister of San Girolamo. The villa, later celebrated in Angelo Poliziano’s writings, is located in a position overlooking Florence that calls to mind Pliny the younger’s description of his Tuscan villa. 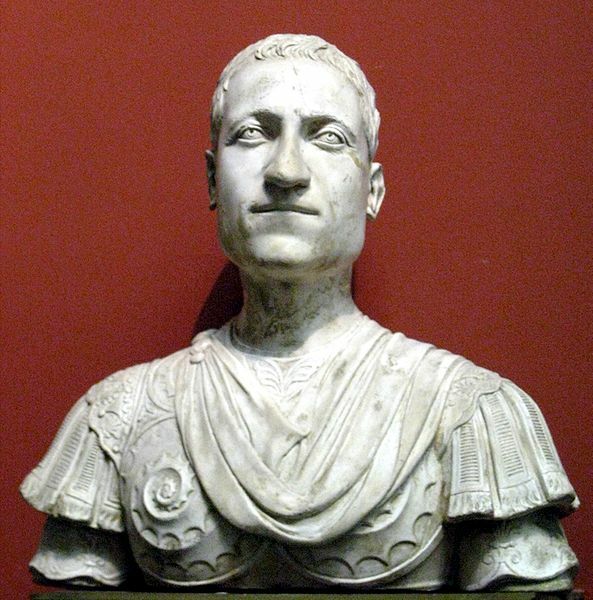 The Classical and the modern were also wedded in the ornamentation of Giovanni’s apartments in the Palazzo Medici in Florence: in the portrait bust by Mino da Fiesole, Giovanni is shown in a suit of pseudo-antique armour. Giovanni may also have commissioned the paintings by Domenico Veneziano and Pesellino that appear in an inventory of his apartments. 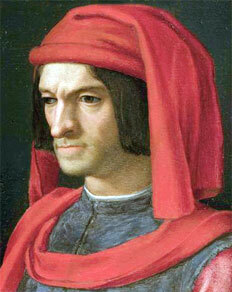 Documents of 1454 and 1455 indicate that he commissioned works from Donatello. His artistic interests extended beyond the works of the ancients or his Florentine contemporaries; letters of 1448 and 1460 addressed to him by Medici agents in Bruges indicate his interest in the tapestries and paintings of northern Europe. The Medicean banking establishments in Bruges undoubtedly played a role in his acquisition of these products, just as the family’s political commitments explain certain of his transactions with Florentine artists and with other rulers of the Italian peninsula. In 1449 Sigismondo Malatesta of Rimini contacted him for recommendations of painters who might supply works for the church of San Francesco, the so-called Tempio Malatestiano. Giovanni may have recommended either or both Piero della Francesco and Fra Filippo Lippi. 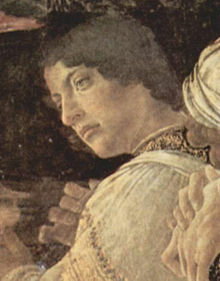 It is known that in the late 1450s he arranged for an altarpiece by Lippi to be sent as a diplomatic gift to Alfonso I, King of Naples and Sicily. Giovanni was buried together with Piero di Cosimo, in an elaborate double tomb by Verrocchio.